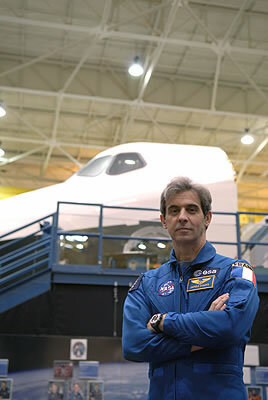 A former test pilot and an astronaut since 1990, Léopold Eyharts is now training for his 2nd spaceflight, on the STS-122 mission of the U.S. Space Shuttle Discovery in October, which will be carrying Europe’s Columbus laboratory to the International Space Station. Eyharts will be staying on board the ISS for 2 months to oversee activation and checkout of the laboratory. 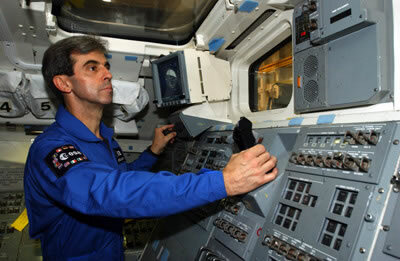 Selected in 1990 by CNES, French astronaut Léopold Eyharts has already flown in space, spending 19 days on the Mir space station in 1998. During this 1st mission he accomplished a full programme of life and physical sciences experiments initiated by Claudie André-Deshays on a previous flight, for which he had been her back-up. In August 1998, Léopold Eyharts entered ESA’s Astronaut Corps and joined a class of NASA astronaut candidates in Houston with 3 fellow European astronauts. After the departure of the shuttle, he will be charged with bringing the module to life and activating its science experiment racks. Since his 1st spaceflight, Léopold Eyharts has been busy on a variety of space activities, including 2 years of training on the U.S. Space Shuttle and specialized training for EVAs, robotics and orbital rendezvous and docking. When asked about future projects like a return to the Moon, Léopold Eyharts says it’s too early to tell what decisions will be taken. While he doubts he will be among those flying on such missions, he believes the experience gained today is a worthy investment for the future. 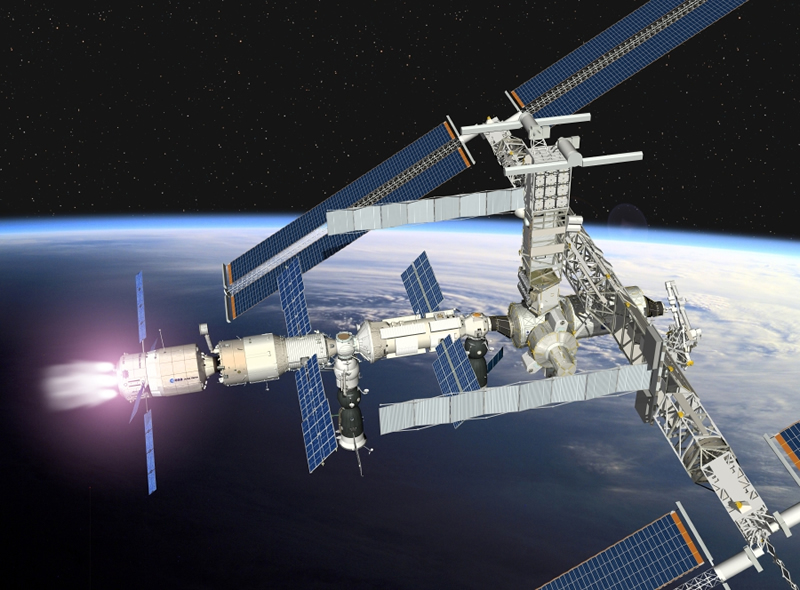 “2007 will be a milestone for human spaceflight in Europe.